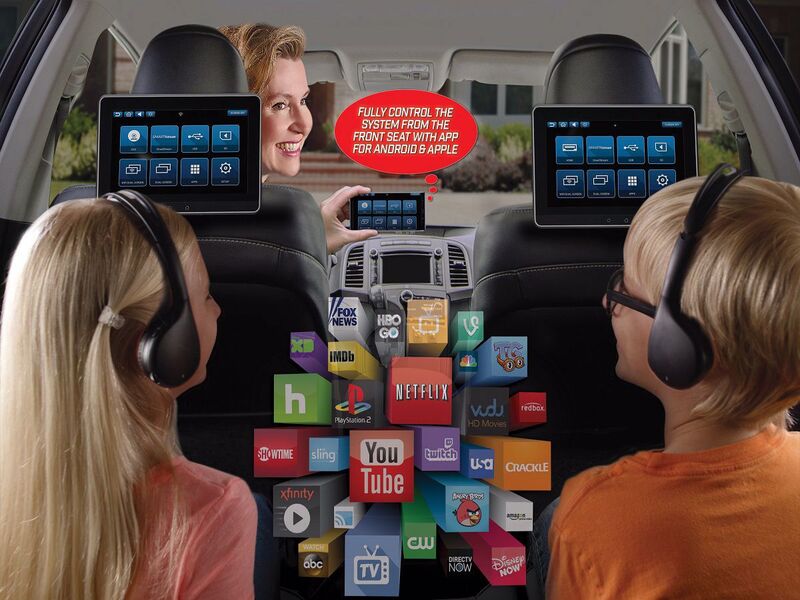 Experience In-Vehicle entertainment on a whole new level with our Dual Seatback Entertainment System. 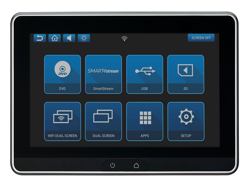 The ADVSB10UHD brings old school technology and current technology together so that all user can access and playback the content they choose without any restrictions. Have a favorite DVD collection? One monitor incorporates a DVD player where content can be shared on both system monitors. Are you a techy that likes to store movies and videos on portable storage devices like USB thumb drives and SD cards? No problem, both system monitors have USB, and Micro SD inputs and the USB inputs have the value-added benefit of also being able to provide charging support. Want to connect your favorite HDMI device? One monitor includes an HDMI input to connect your favorite game system or Smart Device and the content can be shared on both monitors. Are you like most of today's content-hungry consumers where you access movies, videos, games, and music through apps? This system will allow you to download and access your favorite apps for Unlimited content capabilities while cruising down the road! With crisp 10.1" Digital LED displays, a very user intuitive interface, a lightning-fast processor and virtually every feature to satisfy an In-Vehicle Entertainment experience for all users of every tech level, the ADVSB10UHD is the Ultimate In-Vehicle Entertainment System. But It does not stop there, if the users are too young to control the system themselves or they are strapped in a Car Seat where they cannot reach the monitors, we developed the Voxx Link app for Android and Apple smartphones and tablets that allows full system control of the monitors from anywhere in the vehicle. 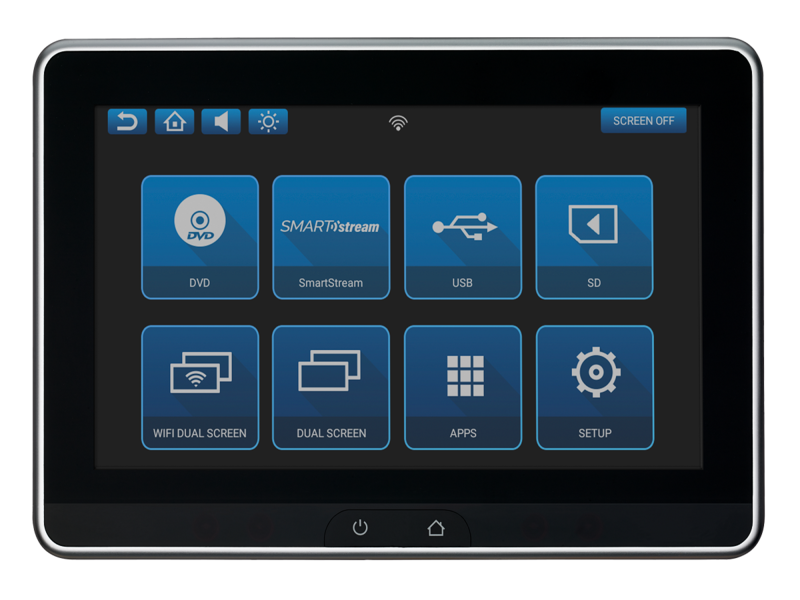 Mom and Dad, Grandma and Grandpa ... anyone and everyone has the ability to fully control the ADVSB10UHD system and select content from anywhere in the vehicle without having to see the actual monitors. This is truly a system for all age levels that grows with the users keeping smiles for miles!